Six out of the 10 highest-paid CEOs in the US helm entertainment companies, a new study shows. Executive pay grew for the fifth straight year, with the median pay for a CEO in 2014 reaching $10.6 million, or 205 times more than the average worker’s wage. A study by the Associated Press and Equilar, an executive compensation research firm, showed that the median compensation for executives of Standard & Poor’s 500 companies grew to a record $10.6 million in 2014, up from $10.5 million in 2013. The highest-paid CEO was David Zaslav of Discovery Communications, with his total pay calculated at $156.1 million. Though Discovery’s stocks actually depreciated by approximately 25 percent, Zaslav negotiated a 368 percent raise in the new contract that will keep him at the company through 2019. According to the AP/Equilar study, Zaslav’s total compensation in 2014 included a $3 million base salary, $6 million in cash bonuses, $1.9 million in perks, and $145 million in stock and options awards. Five other entertainment and media CEOs were among the top 10 earners: Leslie Moonves of CBS ($54.4 million), Philippe Dauman of Viacom ($44.3 million) and Robert Iger of Disney ($43.7 million). Brian Roberts of Comcast ($33 million) and Jeffrey Bewkes of Time Warner ($32.7 million) were in ninth and 10th place, respectively. The only woman among the top 10 was Marissa Mayer of Yahoo, in fifth place with $42.1 million. Leonard Schleifer of Regeneron Pharmaceuticals ($42 million), Jeffrey Leiden of Vertex Pharmaceuticals ($36.6 million) and Marc Benioff of Salesforce.com ($39.9 million) rounded off the top ten. According to AP calculations, using earnings statistics from the US Department of Labor, last year a CEO made 205 times the average worker’s wage, compared with 257 times in 2013. The wage gap has grown from the beginning of the recession in 2008, when the average CEO made 181 times more than the average worker. For the study, Equilar looked at 338 companies in the Standard & Poor's 500 index that filed proxy statements with federal regulators between January 1 and April 30, 2015. To control for discrepancies caused by signing bonuses, the sample included only those CEOs that have held the job for at least two years. The total pay calculation includes base salary, bonuses, perks, stock awards, stock options and other components. Equilar used the value of stocks on the day the awards were granted, while stock options were based on estimated future worth. While Discovery had no official comment for AP, Chris Marangi, portfolio manager at GAMCO Investors Inc – which holds more than $150 million in Discovery stock – said that Zaslav has done a “terrific job,” commending the company’s expansion in overseas markets. Discovery has recently acquired a controlling stake in Eurosport International, making a move on live sports coverage overseas. 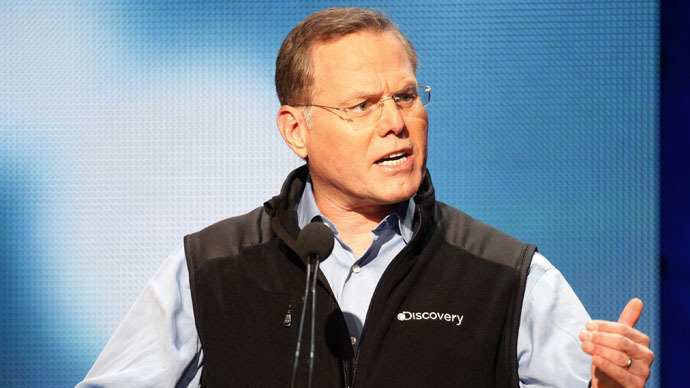 Despite the recent setbacks, Discovery’s stock is up 243 percent since Zaslav became CEO in 2007, AP noted. Disney spokesman David Jefferson told AP that Iger’s pay “reflected the company’s outstanding financial performance” and cited record earnings. During Iger’s tenure, Disney has returned more than $51 billion to stockholders through share buybacks and dividends, Jefferson said.